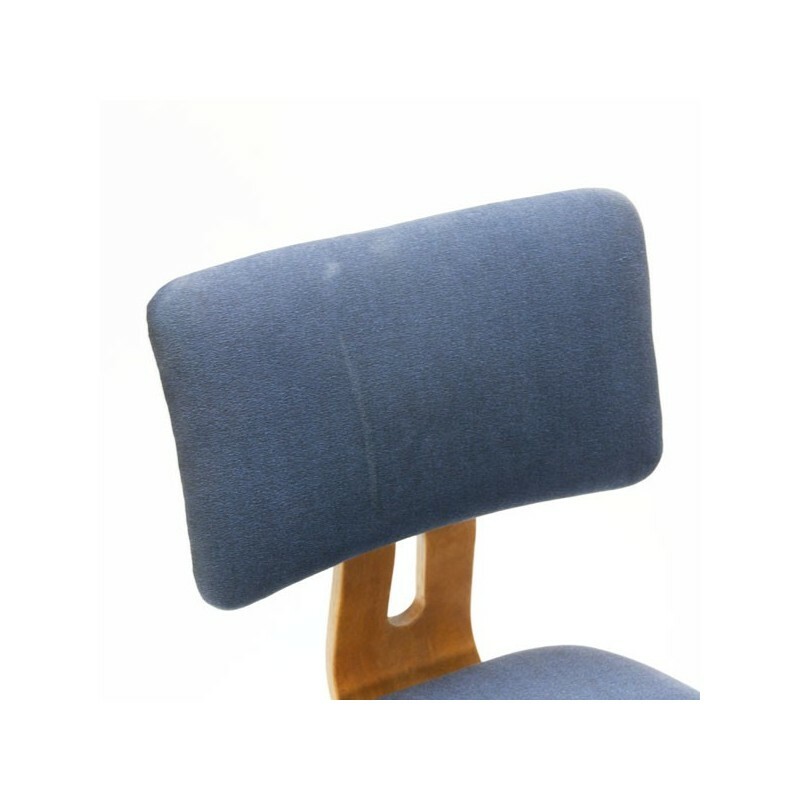 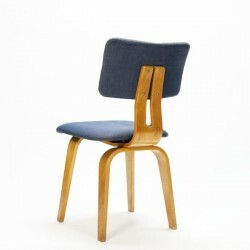 Vintage chair, SB02, from Pastoe designed by Cees Braakman in 1955. 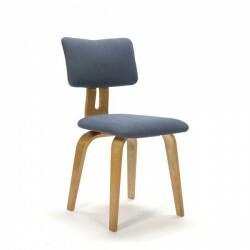 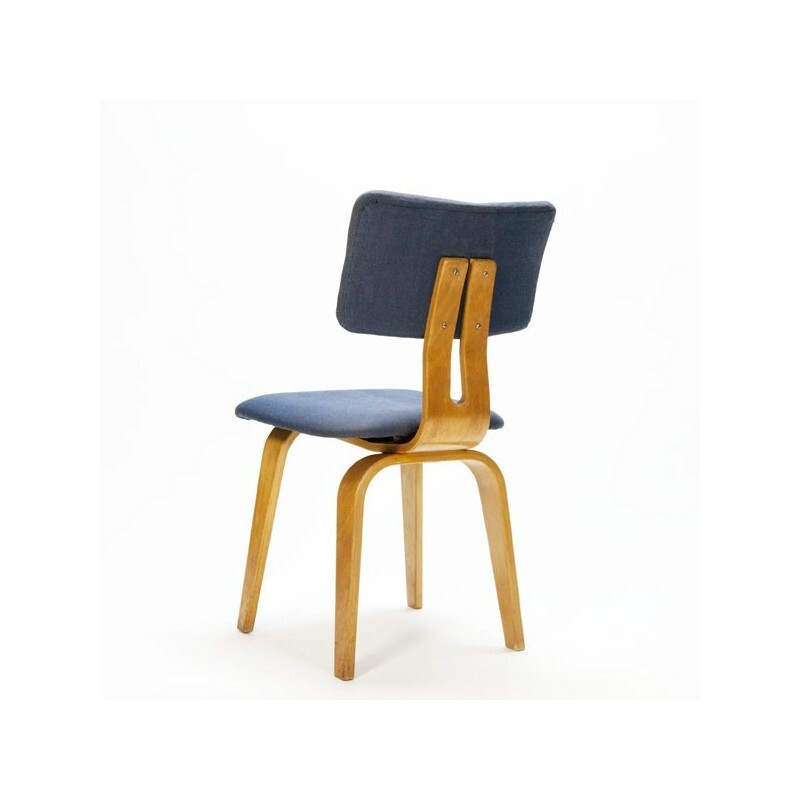 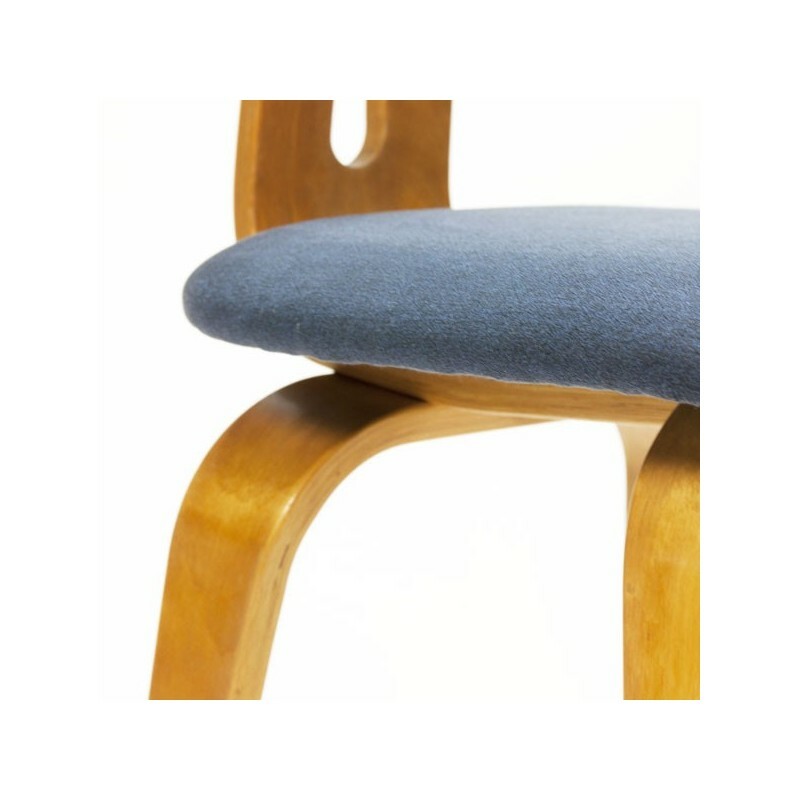 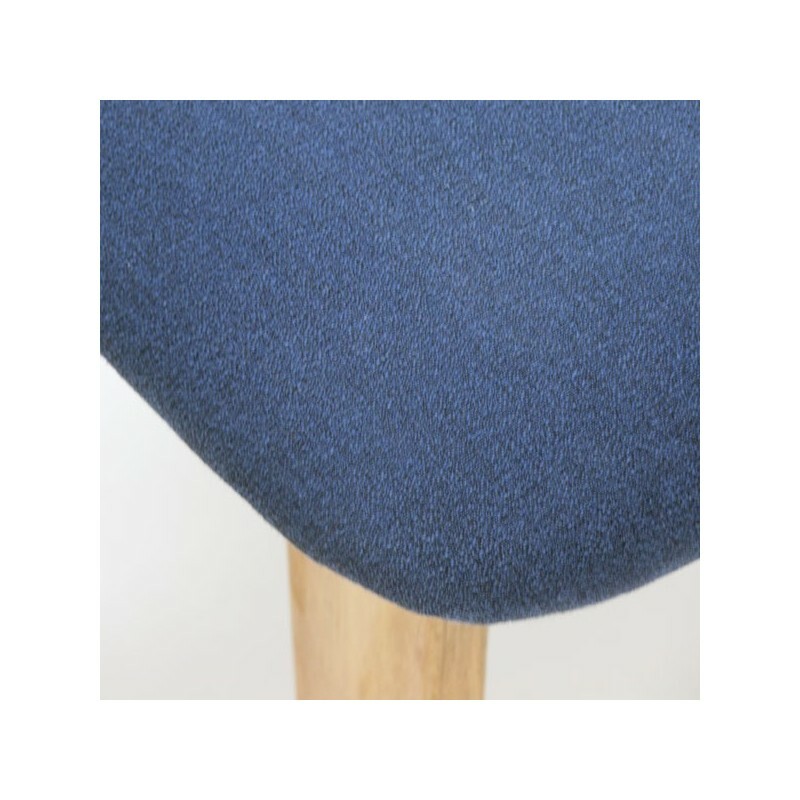 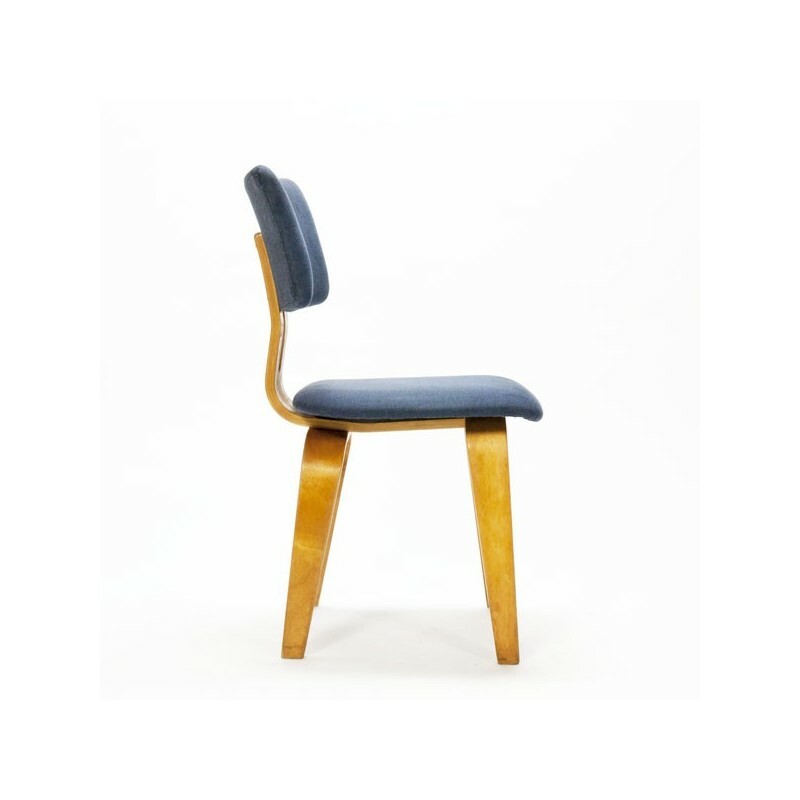 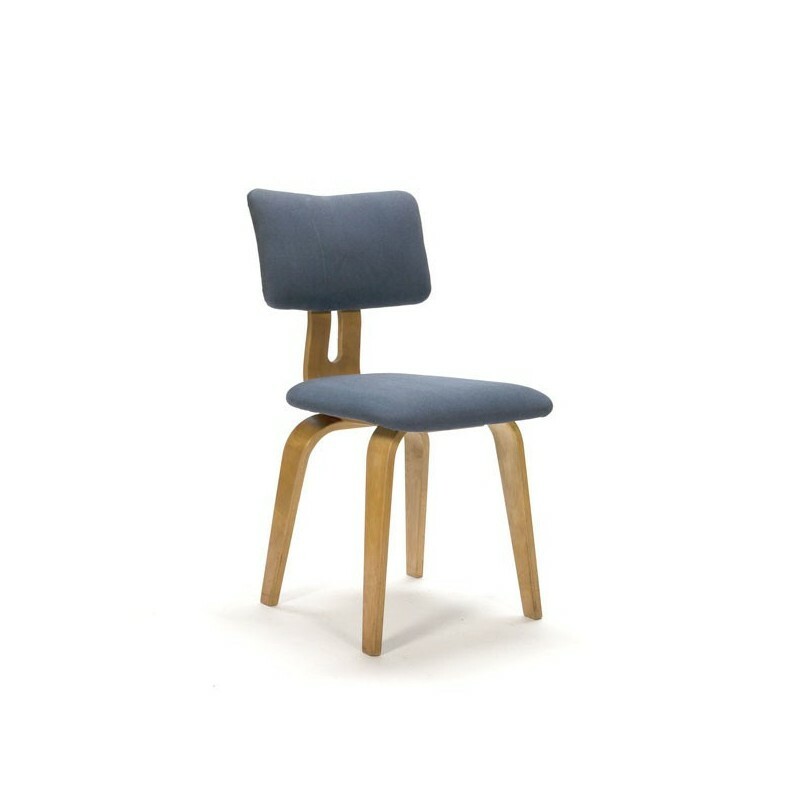 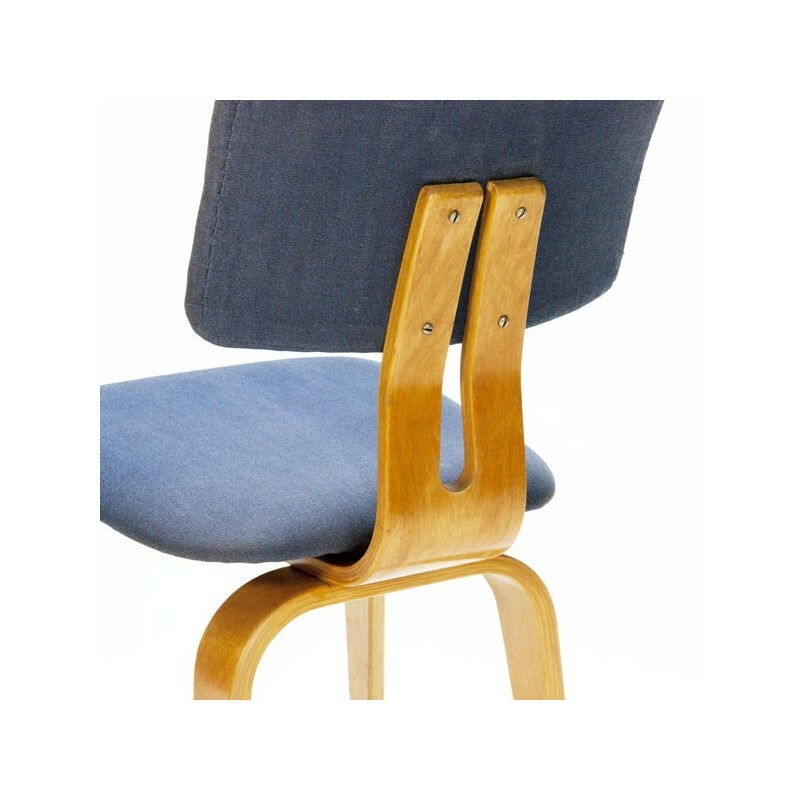 The plywood chair is part of the birch series and has a blue upholstery. 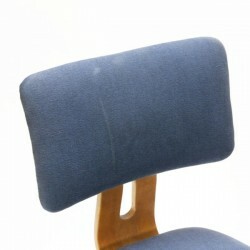 The condition is good considering the age, the cover has light wear. 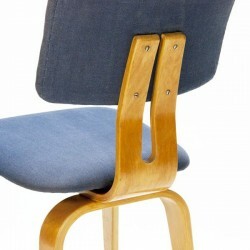 The size is 82 cm H / SH 45 cm / 43.5 cm W.